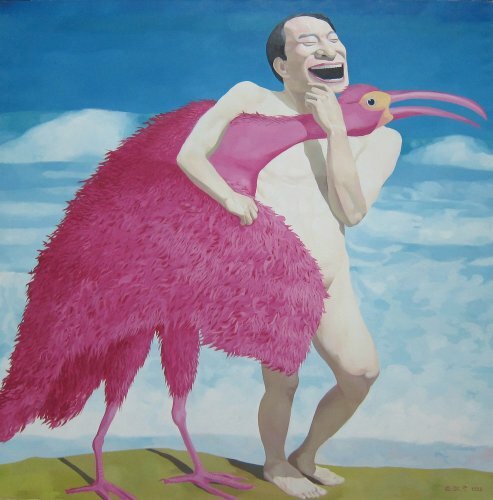 Best known for his iconic signature grin in his paintings, Yue Minjun is reluctant to be identified as a member of the school of ‘Cynical Realism’. The artist does not think that there is anything cynical in his works and instead is just trying to make sense of the world. 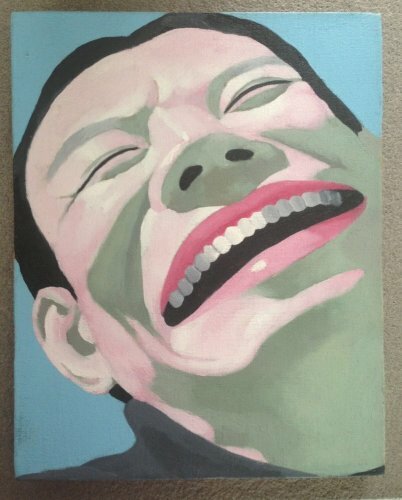 Struck by the events post Tiananmen Square in 1989, Yue Minjun realised the gap between reality and the ideal and began to create his own artistic definition that would reach a balance between his own psychological struggles and the social conditions in China. The intense bright colours employed, along with the forceful enthusiasm of the figures create images that seem hilarious and infectious, yet cynical and mocking at the same time. 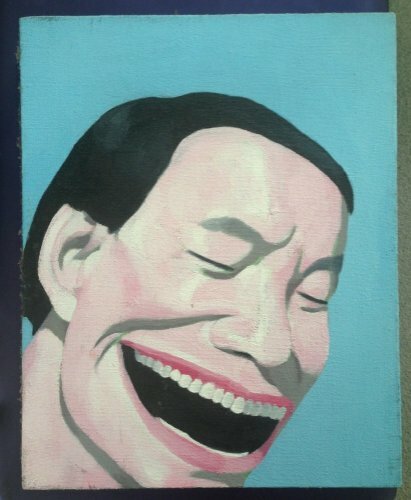 To Yue Minjun, laughing does not necessarily mean happiness, but it might be an illusion of happiness in lives that are inevitably heading towards extinction. 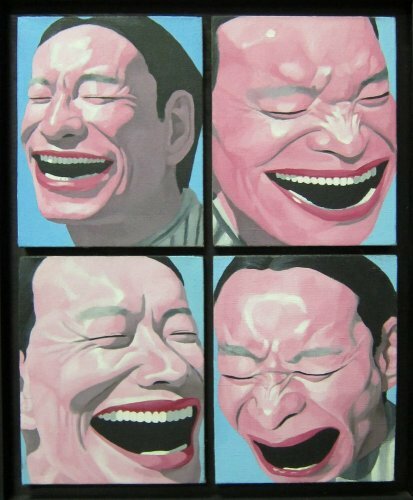 The act of grinning is also a parody of the posters showing happy people laughing in China during the Cultural Revolution and as the grinning men are the artist’s self-portraits, his paintings serve as an ironic self-mockery of his own existence.